Last week our family was preparing for the big rain on the East Coast so we headed to Walmart to stock up on essentials before the worst weather hit. 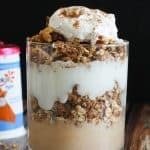 For my boys, essentials meant yogurt snacks so we headed to the dairy aisle and as they were hunting out their favorite flavors I spied waaaaay back in the back, hidden behind some strawberry the most glorious snack ever-Yoplait Light PUMPKIN PIE yogurt! I quickly snatched it up (it was the last one!) 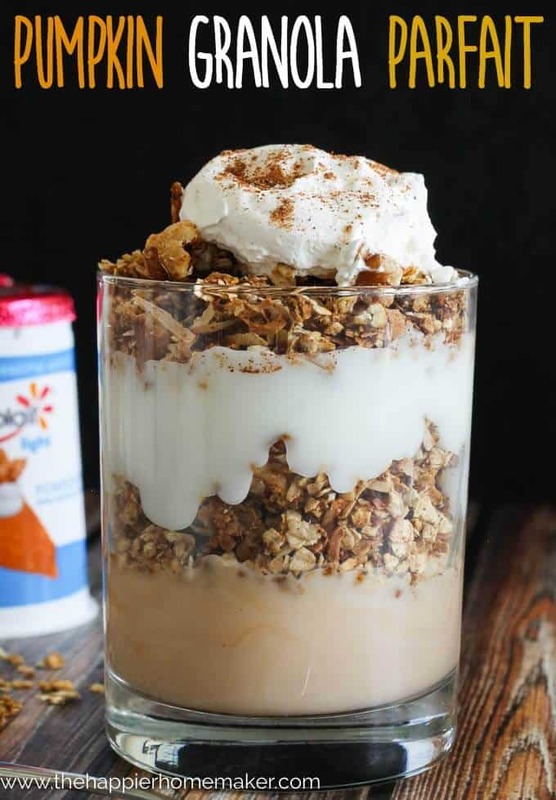 and knew that a Pumpkin Granola Parfait was in my future! 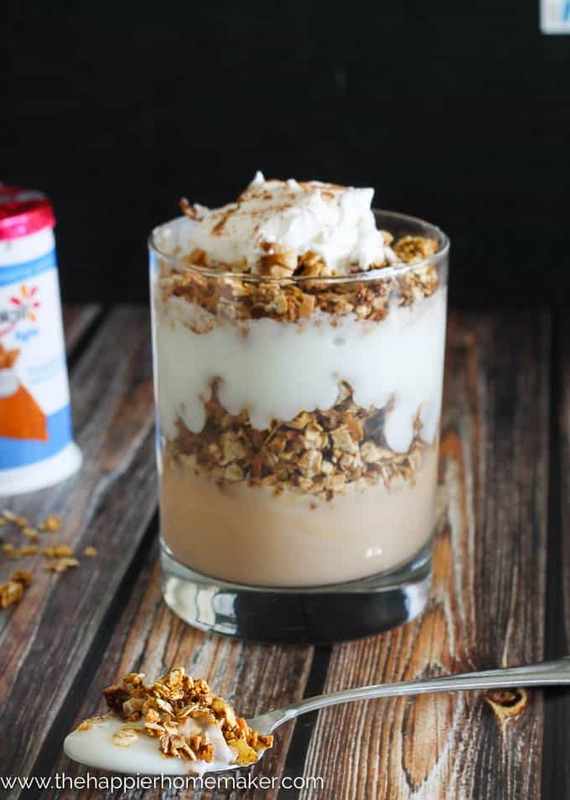 I love making granola and this pumpkin version is not only delicious, but it makes the most glorious snack layered with Pumpkin Pie and Vanilla yogurt into a parfait that’s healthy enough for breakfast but delicious enough for dessert! Preheat oven to 350 degrees. 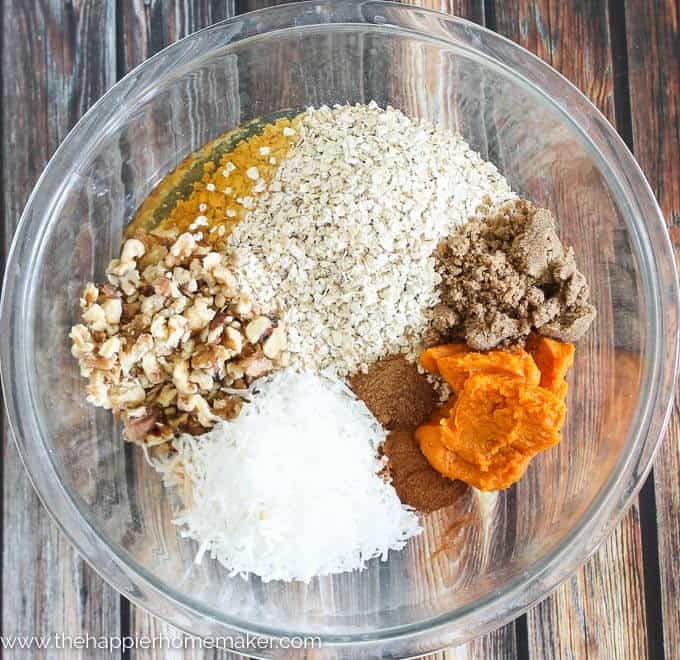 Combine all ingredients in a large bowl and stir well until the oats are thoroughly coated. Spread thinly across two greased baking sheets. Bake thirty minutes or until golden, stirring every ten minutes. Allow to cool before eating. 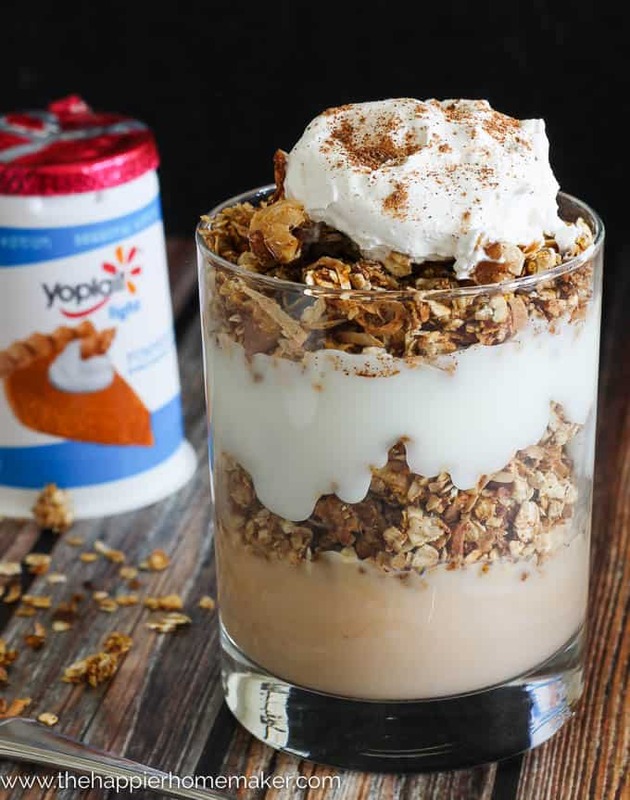 To make the parfaits I layered Pumpkin yogurt, then granola, then Vanilla yogurt, topping with more granola, whipped cream and a sprinkle of pumpkin pie spice! 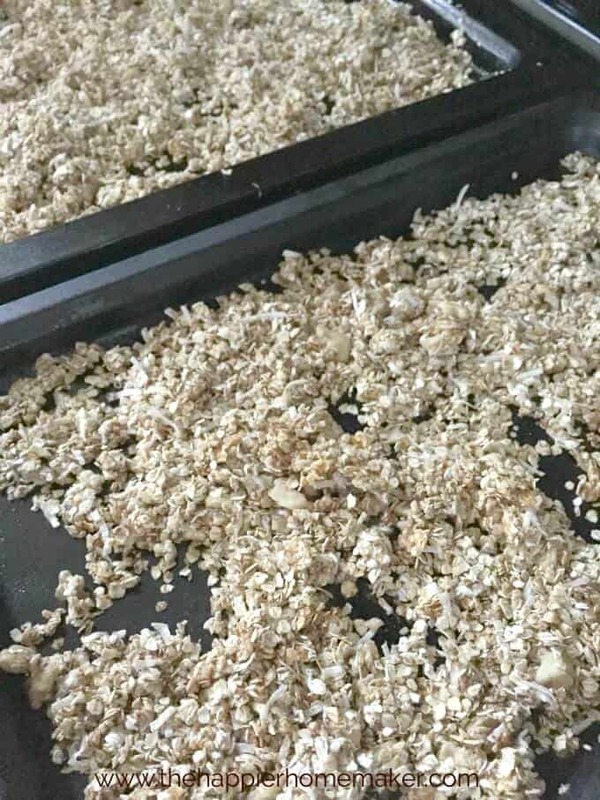 Combine all ingredients in a large bowl and stir well until the oats are thoroughly coated. Spread thinly across two greased baking sheets. Bake thirty minutes or until golden, stirring every ten minutes.